So I know I’m not meant to be reading crime/thriller type books at the moment, or even reviewing for that matter, but when I came home from Harrogate, there was a copy of Aftershock waiting for me. I have loved this series from the beginning, so I genuinely couldn’t relegate this one to the TBR. I know it isn’t out until November either, but once again, I couldn’t wait! 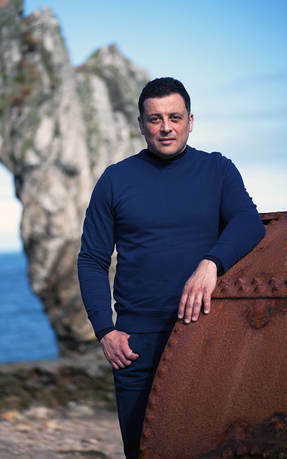 British author and screenwriter Adam Hamdy works with studios and production companies on both sides of the Atlantic. He is the author of the Pendulum trilogy, an epic series of conspiracy thriller novels. James Patterson described Pendulum as ‘one of the best thrillers of the year’, and the novel was nominated for the Glass Bell Award for contemporary fiction, and chosen as book of the month by Goldsboro Books and WH Smith Travel. Pendulum was also selected for the BBC Radio 2 Book Club. Adam is currently adapting Pendulum into an eight-part series for Hardy, Son & Baker and NBC Universal. Prior to embarking on his writing career, Adam was a strategy consultant and advised global businesses in the medical systems, robotics, technology and financial services sectors, experience that has given him a useful insight into many industries. Adam has a law degree from Oxford University and a philosophy degree from the University of London. He is a seasoned rock climber, skier and CPSA marksman. Adam is a member of the ITW, Crime Writers’ Association, and Society of Authors. He is the membership coordinator for the ITW Debut Authors Program. Having survived the lethal Pendulum conspiracy, photographer John Wallace atones for his past mistakes. DI Patrick Bailey clings to the hope that he can, at last, return to a normal life in London. FBI investigator Christine Ash – alone and paranoid – hunts down the remaining members of the ruthless Foundation organisation. But when masked assassins strike at the heart of the UK government, a shocking new threat emerges that forces all three to reunite. With time running out, they must defeat a lethal new adversary: a manipulative mastermind with sinister powers unlike anything they’ve seen before. If you follow my blog, you’ll know I’ve read and loved the previous books in the trilogy (review links are left below) so I had been eagerly awaiting Aftershock since I finished Freefall last summer. Which feels like a lifetime ago! So you can imagine my delight to find a copy waiting for me after I got home from Harrogate. I literally turned the last page of Aftershock a half hour ago, and I am shook, in the best possible way of course. I’m mindful of the fact that I don’t want to go into too much detail in this review, so I will try to keep it relatively short because if I start rambling about the book, I probably won’t stop too easily! Aftershock starts with a bang, and I swear the pace doesn’t let up for the entirety of the 500+ pages. If you’ve read the first two books, you’ll recognise Adam Hamdy’s innate talent for writing extremely cinematic thrillers, and this one is no exception! We are back with the usual suspects, Wallace, Ash, Bailey as they try to deal with the fallout from the events that took place in Freefall. Each is trying to battle their own demons, and the internal guilt/struggles they are experiencing make for tough and emotive reading at times. The journeys that each one goes on, and the arc of their respective characters is so well plotted, and I found myself really rooting for them at various points in the book. The Foundation has claimed so much of these people’s lives, and in Aftershock they try to claw back something for themselves. Destruction and force are The Foundation’s weapons of choice, but murder seems to be the order of the day and its up to Wallace, Ash and the rest to try to finally put a stop to this wide-reaching organisation. I swear the tension and pacing in these books is designed to get your adrenaline pumping, but not in a bad way. I kept my reading of this one to daylight hours, but even then I was on tenterhooks while the action was unfolding. Lets not even mention the bits that made me tearful!!! Aftershock is a pitch perfect ending to what has been one of the best action series I have ever had the pleasure of reading. Cleverly plotted, excellent characters and a truly terrifying reality made Aftershock a truly gripping read. 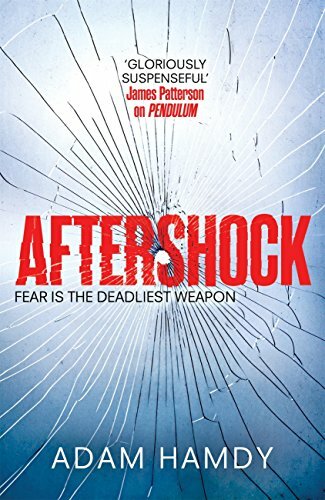 If you like your thrillers with real heart, then I highly recommend you pick up Aftershock, and its equally impressive predecessors. All the stars for this one!